Looking back at the rise and fall of Kodak over the past century, one can make several observations about its role in society. Kodak’s hegemony was manifested through its strong presence in the Olympic Games. During these games, not only athletes compete – firms also compete for our attention. Tracking Kodak’s role in the Olympic Games is therefore a way to track its performance, and vice versa. In fact, Kodak was present as a sponsor during the first Olympic Games in Athens 1896. Being only 16 years old by that time, Kodak had pioneered amateur photography and created a consumer market that it would thrive upon for more than a century. At the Olympics, the most famous contemporary consumer brands are exposed. Globally recognized top brands such as Coca Cola and McDonald’s are the only ones that can afford and benefit from such major sponsorships. For many decades, Kodak’s presence in the Olympics was more or less taken for granted. As the company grew in the 20th century and continued to dominate the photographic industry it became increasingly used to extensive market power. Kodak had built a global monopoly position and with such hegemony usually comes a certain arrogance and resistance to change. By the early 1980s, a challenger named Fujifilm was gaining momentum. The first signs of Kodak’s decline could in fact be spotted at the Olympic Games in Los Angeles 1984. As Kodak controlled about 90 percent of their domestic market and the organizing committee preferred American sponsors, Kodak took its presence for granted. In doing so, they dictated the conditions and were generally very difficult to do business with. In contrast, the Japanese challenger adopted a ‘name-your-price’-strategy and eventually became the official sponsor of the Olympics in L.A. Kodak now tried desperately to offset this loss through massive TV advertising but the harm couldn’t be undone – Fuji’s green box was now familiar to American consumers. After 1984, Kodak made sure to have a strong presence at the Olympics and it seems like the company had learnt from its mistakes. This didn’t stop them from losing market share to Fujifilm, both in the United States and elsewhere. The next blow to Kodak came with the shift to digital imaging. From the year 2000 and on, the company slid further into decay, the layoffs continued and the 2008 Olympics in Beijing was the last time Kodak entered this stage for global consumer brands. The official motivation for not sponsoring the Olympics in London last year was that Kodak wanted to focus its marketing efforts and get closer to its customers. 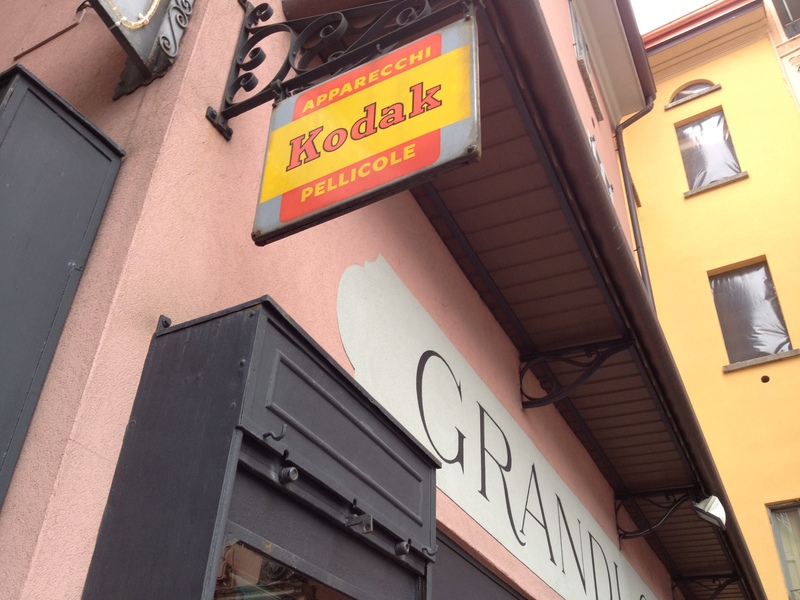 Put differently: Kodak was no longer a global consumer brand. As the torches were lit in London last year, the lights had gone out at Kodak.